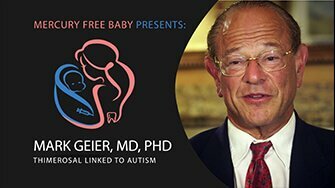 2) HOW CAN THIMEROSAL HARM PREGNANT WOMEN, CHILDREN, AND OTHERS? Dórea JG. Low-dose mercury exposure in early life: relevance of thimerosal to fetuses, newborns and infants. Curr. Med Chem. 2013; 20(32): 4060-9. Yeter D, Deth R, Kuo HC. Mercury promotes catecholamines which potentiate mercurial autoimmunity and vasodilation: implications for inositol 1,4,5-Triphosphate 3-Kinase C susceptibility… Korean Circ J. 2013; 43(9):581-591. Young HA, Geier DA, Geier MR. Thimerosal exposure in infants and neurodevelopmental disorders: an assessment of computerized medical records in the Vaccine Safety Datalink. J Neurol Sci. 2008; 271(1-2):110-8. 3) DO ALTERNATIVES FOR THIMEROSAL EXIST? Chhawchharia R, Puliyel JM. Controversies surrounding mercury in vaccines: autism denial as impediment to universal immunisation. Indian Journal of Medical Ethics. 2014; 11(4). If you liked this article 3 Facts About Thimerosal please share it with others.